Recently, I was perusing Trader Joe’s, the closest fully stocked grocery store to my studio. Trader Joe’s rarely disappoints me with their innovative, wholesome approach to food. I needed a snack, and I was craving potato chips. 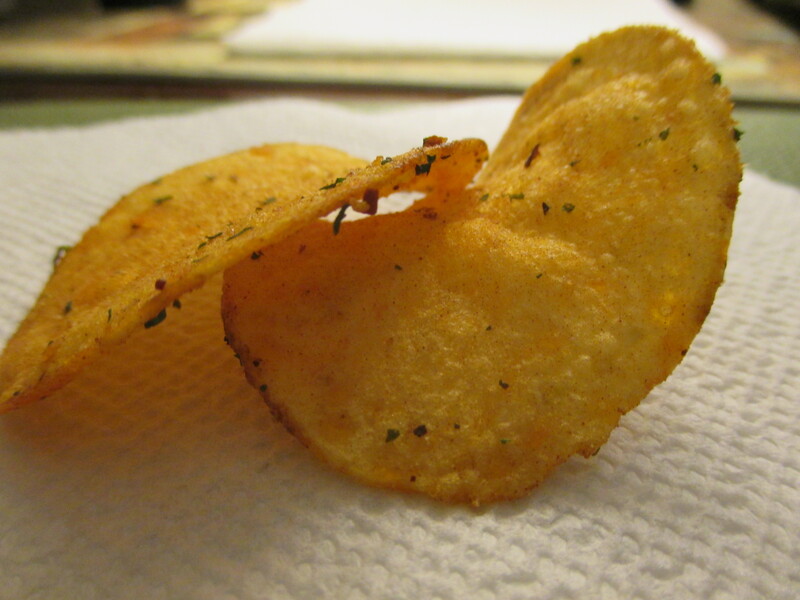 We all crave potato chips at some point, and in my opinion it is entirely okay to fulfill this craving in moderation. South African chips! I’ll admit, my boyfriend loves South Africa. He fell in love with the country after working there for six weeks. With such a connection, and the promised smoky barbecue flavor, I just had to try these out. Seasoned with paprika, hickory smoked salt, basil, and parsley, these chips do not disappoint. 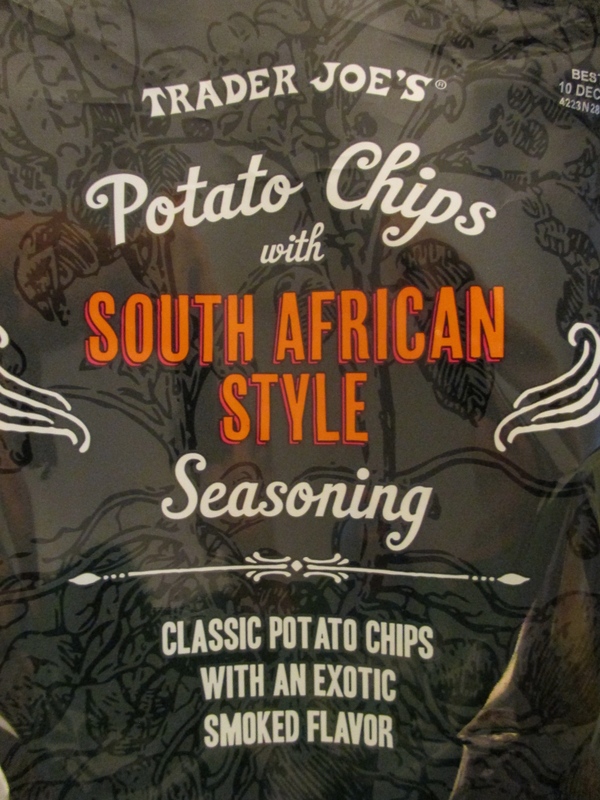 The seasoning is inspired by South African barbecue, called braai in Afrikaans. I also appreciate that these chips are not too greasy. You know when, after a few minutes of eating chips, your fingers become really oily? These chips will not burden you with that feeling. Follow the link at the top of the post to read more about the product. If you are craving a new potato chip flavor, certainly give these a taste. I’ll be out of town this weekend, but next week I’ll be back with more of my recipes!